Well she’s all put together, she’s got all the yarn I own (almost – I’m trying to figure out the best way to store the billon skeins of my cotton) let her greatness begin! 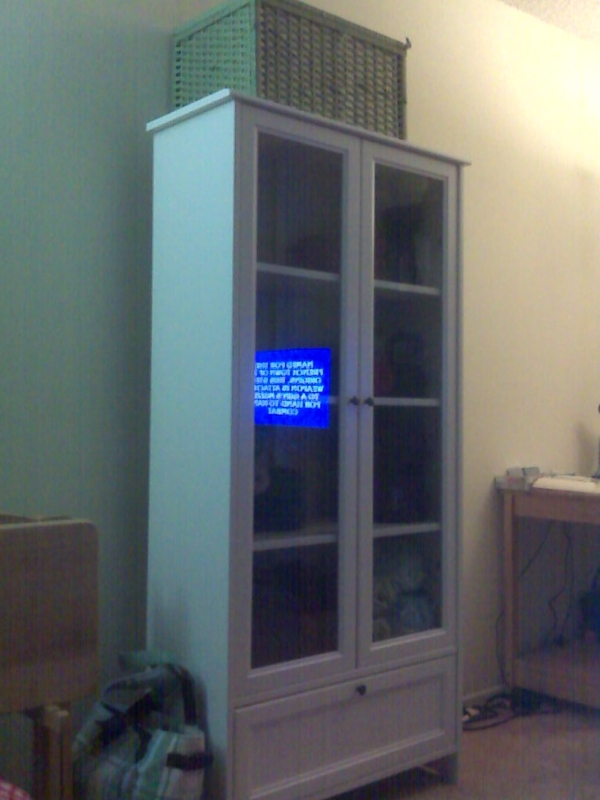 Yes, I’ve got Jeopardy on in the background – and I have the clue in the reflection on purpose. ← Photo – coming soon! love it! now i get the ikea reference at lunch. good work, court.